Scotland is wrapped in mists and myths, and almost anyone with European roots can trace ancestors back to a hidden glen or a desolate Scottish island. But the Scots, in spite of carving a country out of nothing more than pervasive poverty and from under the shadow of foreign rule by everyone from the Romans to the Celts to the English, nevertheless managed to make some of the most significant contributions to culture, science, politics, and religion seen in western culture. They say the Scots invented the modern world, and this is not too far off. 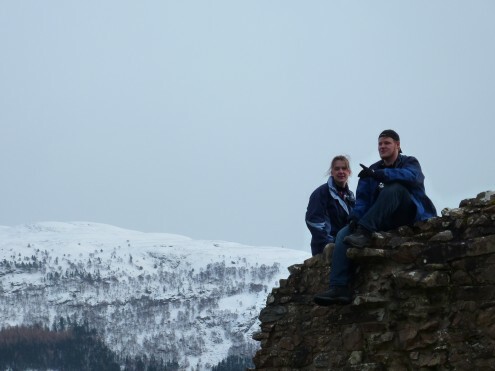 This course is a study of the history, religion, and culture of Scotland, illustrated by its ruins. 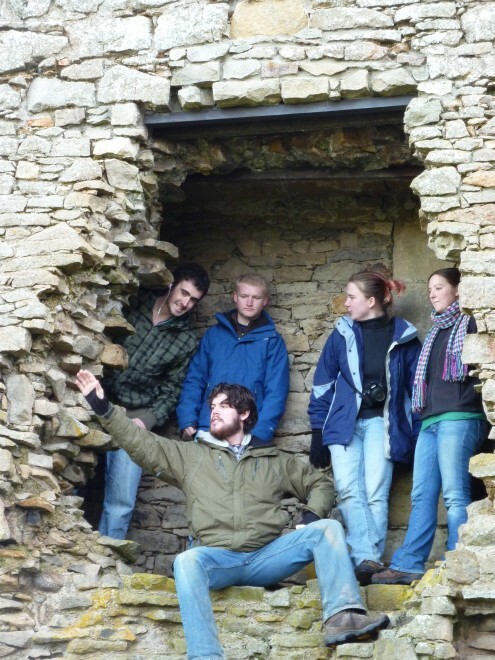 With visits to as many as 50 sites, such as prehistorical stone circles and cairns, Bronze and Iron Age hillforts and brochs, one of the world’s most important religious sites on Iona in the Western Isles, and of course dozens of castles, students will spend 19 days immersed in the remnants of Scotland’s past while also having the opportunity to experience modern life in towns and cities across the country. Assuming you do not have any particular expertise in Scottish history, religion, or culture, you absolutely MUST have a strong interest in history and an additional appreciation for architecture, religion, and archaeology to name a few areas. You need to be a bit of a history geek! You must also realize this is not a trip where you snap pictures out the bus windows or spend an hour or two in a museum three times a week. You will be at the sites almost daily, usually in the rain, possibly in the snow, always in the wind, taking pictures and making observations. Because of this, there will be some light walking to get to and around some of the places we are going, and you will certainly be wet for a good portion of the trip. If you are not an “outdoor person,” you may wish to look elsewhere for a Jan Term class. And finally, there are few guardrails in Scotland. Students must demonstrate a bit of common sense and know their limits.